Orchard Hill Flax Seed bread is so good dipped in soup! 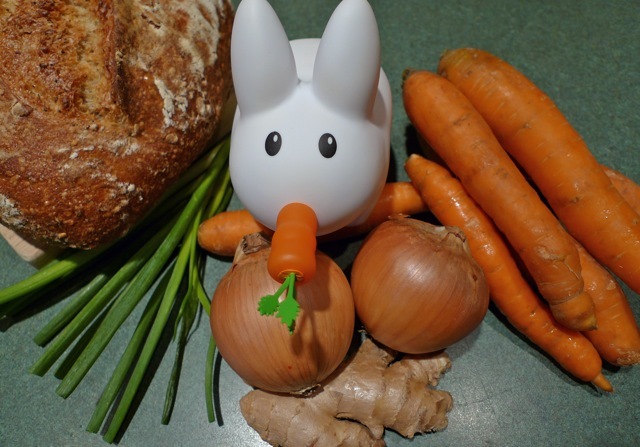 Pipkin saved the best for last in this week's final soup recipe: Carrot Ginger! This recipe is from the Kripalu Cookbook, and if you've ever had the pleasure of taking a course or staying at Kripalu in western Massachusetts, you know just how delicious their food is. 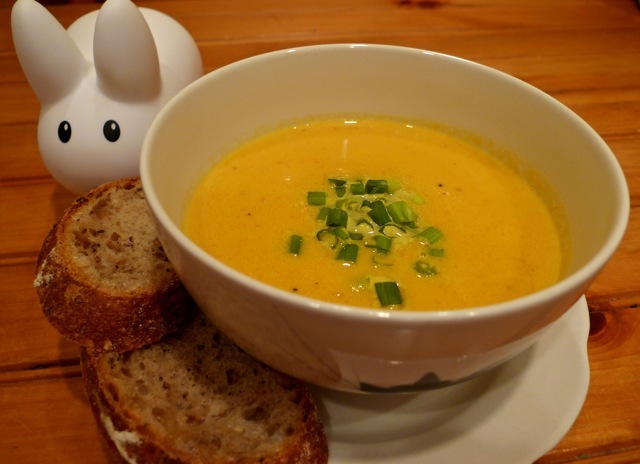 The Kripalu Cookbook describes this soup as, "a delicately flavored soup that combines the spiciness of ginger with the sweetness of carrots and onions." This soup is perfect for fall and winter, and if you're feeling under the weather, this smooth soup will soothe your sore throat and the ginger is sure to clear the sinuses. If you really like ginger, you can add more to this recipe to have a bolder flavored soup. Enjoy! Print the recipe here. In a large pot, heat the oil and saute the onions for 3 - 5 minutes or until translucent. Add the ginger and saute for 1 minute. Stir in the carrots and stock and bring to a boil. Add the salt. 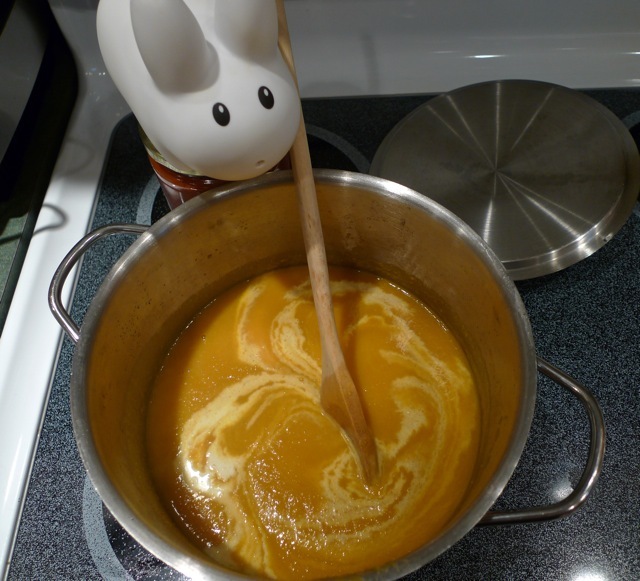 Reduce heat to simmer and cook, stirring occasionally, for about 40 minutes. In a blender or food processor, puree the mixture until creamy, adding the soymilk, if desired. Return the mixture to the pot, reheat, and stir in the black pepper and chives. Serve immediately. Swirl in heavy cream for a smooth, creamy soup. Just had a great carrot soup in Portland Wed. night. This got me thinking about it again, may have to try making this soon. Very fall! Let me know how it turns out! 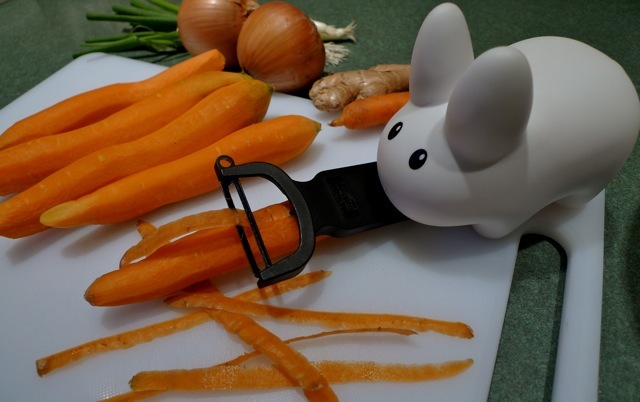 What type of blender do you use? Do you recommend it? I want to get into making soup! I have a 7 cup Cuisinart Food Processor, and the immersion blender I have is the Cuisinart Smart Stick. It comes with a chopper and grinder attachment, a whisk, and a measuring cup thing. Both get heavy use, and I would recommend both. Enjoy your foray into soup making. It's so simple, so delicious, yum! Thanks! My friend recommended the same immersion blender. You're welcome. 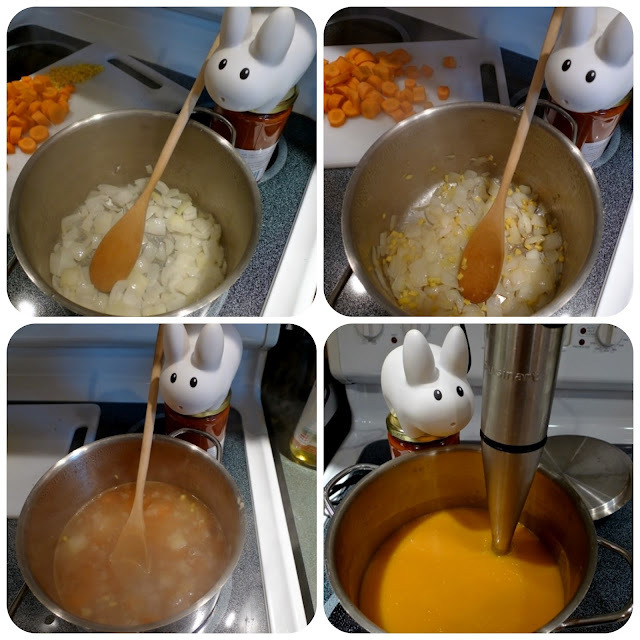 Enjoy soup making! Made this again last night, it's so good! And I'm not even a big carrot fan. Or a small carrot fan. 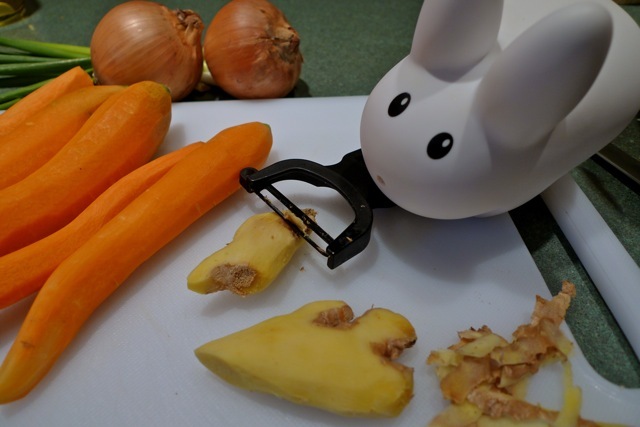 Glad you gave it a try, even though you're not into carrots!